Significant of an era where computing limitations were challenged by maximising every potential required talented programmers. Yu Suzuki's 68000 mastery outruns most programmers with language comprehension reflected in techniques of proficiency. To uphold this standard for a Spectrum conversion was obviously quite some challenge. Hi - I've got a cheeky request for you. What's the easiest way of getting in touch? Paul - it's a shame the USGold/Probe 16-bit conversions were so much of an afterthought really. 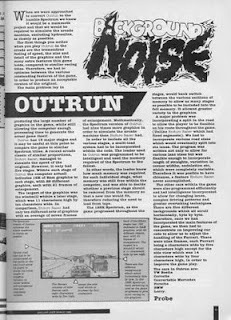 In a way you couldn't really blame them - the ST and Amiga were new beasts that had yet to be properly explored, but I reckon that the conversion could have been a lot better if they'd wanted it to be. Just got your e-mail - will drop you a line. @bluepillnation: Agreed, the Amiga and ST versions are terrible which is a real shame given the potential both computers possess. Especially the Amiga w/ its custom chipset and co-processor. Yes, the home versions were almost universally disappointing. 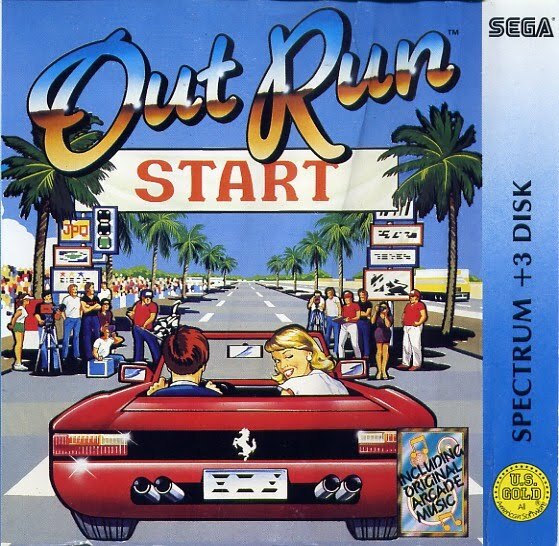 I think the only conversion of OutRun that was decent (not including later conversions like the Saturn and GBA) was the PC Engine version. 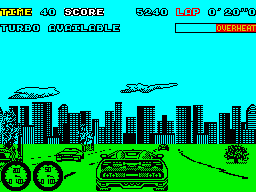 NEC managed to scale the game down to an 8-bit format, whilst retaining the pure thrill of racing. And even then, this version wasn't released until 1990. It's easy to understand why the conversions disappointed. The programmers probably had no access to the original resources or code. As mentioned in the article, there was also a tough xmas deadline to contend with. Occasionally it worked the other way though. I'd argue that Chase HQ on the Spectrum is more fun that the original. 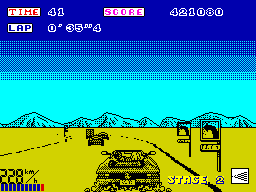 The same goes for Turbo OutRun on the C64. I'm not a big fan of the Turbo Outrun arcade. 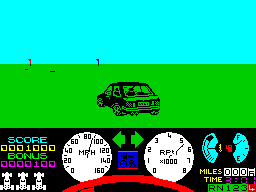 @bluepillnation: Funny you should mention ChaseHQ as I used to play it religiously on the spectrum, however, I thought the Arcade version was lacking. 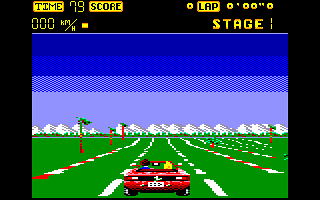 I refreshed my memory with Outrun for the Spectrum 128k+2 (under emulation) late last night. In all fairness it's well coded but lacks the quintessential attributes of the Arcade. As you said, there's just no "pure thrill of racing." 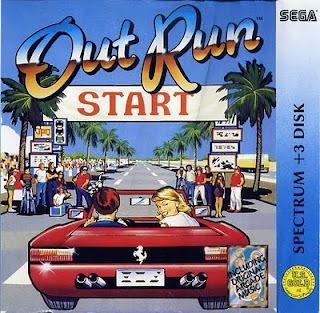 I've never liked Turbo Outrun. On the subject of better conversions from Arcade, couple that spring to mind are Rodland and Cisco Heat on the Commodore Amiga. Personally I prefer them to the original. I give leniency for Cisco Heat (good idea, bad code) as it was with my first handful of games I had when I got my Amiga a500. Had the memorable wow factor when I made the 8 to 16 bit transition.